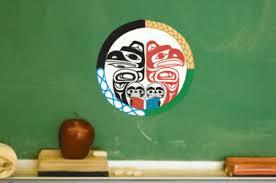 Canada’s education minister announced on Friday that teachers in British Columbia will devote one of their professional development days next year to aboriginal education. This much needed change coincides with government plans to introduce school curriculum changes that focus on First Nations culture and history, including the discriminatory residential school system. This is the first time that aboriginal education is the sole focus of a professional development day, a day where teachers gather for conferences without their students in class. Students as young as 10 will soon be taught that past government policies towards Aboriginal Peoples resulted in the crushing legacy of Canada’s residential-school system. Starting in Grade 5, students will learn about residential schools and other racist government programs, such as the Chinese Head Tax, as part of a new kindergarten-to-Grade-12 education curriculum. The recent Truth and Reconciliation Commission report into Canada’s residential school experience recommended the creation and funding of aboriginal-education legislation. After six years of hearings, the report concluded Canada’s residential-school system was a form of cultural genocide. He signed a protocol agreement Friday with First Nations educators that aims to guide collaboration efforts on aboriginal education. B.C. will introduce education curriculum changes next year that will see students learn about aboriginal culture and history, but when will these changes be incorporated to all provinces across Canada?